Controllers made first contact with the UK satellite as planned within a few hours. The spacecraft is a pre-production model. 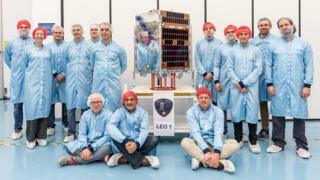 If it performs well over the coming months, its manufacturer, SSTL, also in Guildford, will proceed with Earth-i’s first batch of five operational spacecraft. The contract for these platforms was signed in November. The forthcoming constellation – which will be known as Vivid-i – will be the first of its kind to provide hi-def, full-colour video. Short movies of the Earth’s surface have been acquired from orbit before, but not on the envisaged scale. The demonstrator will circle the globe at an altitude of 505km. It has the ability to point and stare at a particular location. It can take a still picture or gather two-minute movie sequences. “We can collect up to 50 frames per second which is a lot of information,” explained Earth-i CEO Richard Blain. “That allows us to stack the individual images and increase our effective resolution, achieving somewhere around 65cm to 75cm,” he told BBC News. This is more than sharp enough to see moving objects like cars and ships. 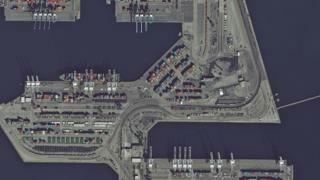 Image analysts could use such views to monitor and model traffic flow around cities, and in and out of ports. But the system can also be configured to generate slightly offset images of a target which can then be assembled into 3D models of surface elevation. This approach could be used to make urgent maps for relief teams entering an earthquake disaster zone, for example. However, the key capability being sought by Earth-i is frequent re-visits to locations. Detecting changes in near real-time is expected to be a burgeoning market for space data and this is only possible when you have a train of spacecraft constantly passing overhead. At the moment, Earth-i’s plan is to put up additional batches of five spacecraft every year or so after the initial quintet have been launched at the end of 2019. With a 15-satellite constellation, Earth-i could image a particular place at least three times a day, cloud permitting. Networks of satellites are all the vogue at the moment. Indeed, on Friday’s PSLV flight there were two other fascinating demonstrators that will trial technologies for future space constellations. One of these, the Phase 1 LEO satellite, was also manufactured by SSTL in Britain. It is a prototype for more than 100 follow-on platforms that Telesat of Canada wants to launch to deliver broadband across the globe. 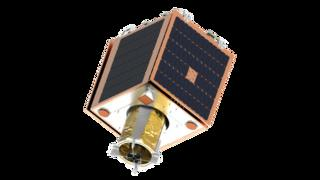 The other PSLV passenger of note in this context was a small radar-imaging satellite for Finnish start-up ICEYE. What all these proposed constellations have in common is that they are exploiting the use of cheap electronics normally found in consumer products – rather than the expensive, “space qualified” parts built into traditional spacecraft designs. This makes the manufacture and launch of multiple platforms much more affordable. “When you move to [commercial off-the-shelf (COTS) components], you’re suddenly a decade ahead. 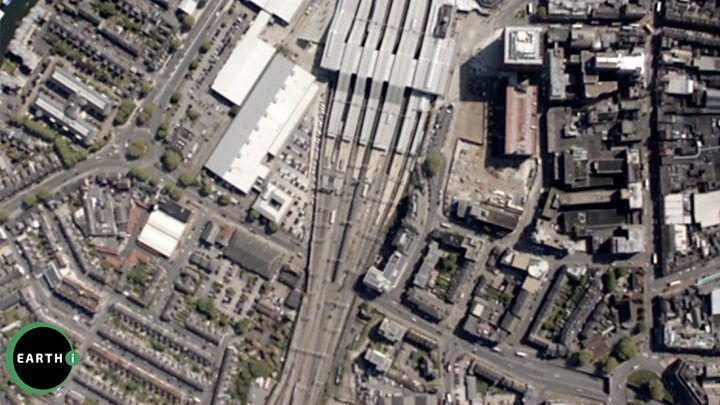 You get access to the very latest capabilities,” ICEYE CEO and co-founder Rafal Modrzewski told BBC News. Friday’s PSLV launch was the first since the rocket failed to jettison its nose cone on an ascent to orbit last August. The navigation satellite being carried on that occasion was lost because it could not get off the vehicle. 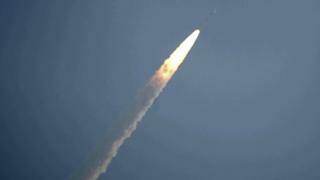 The PSLV is India’s workhorse rocket, so the country will be delighted to have it back in action. 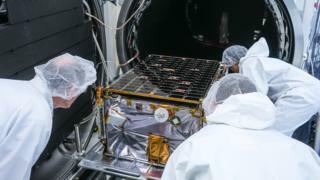 Its primary payload for the latest flight was another imaging and mapping spacecraft in the nation’s long-running Cartosat series.